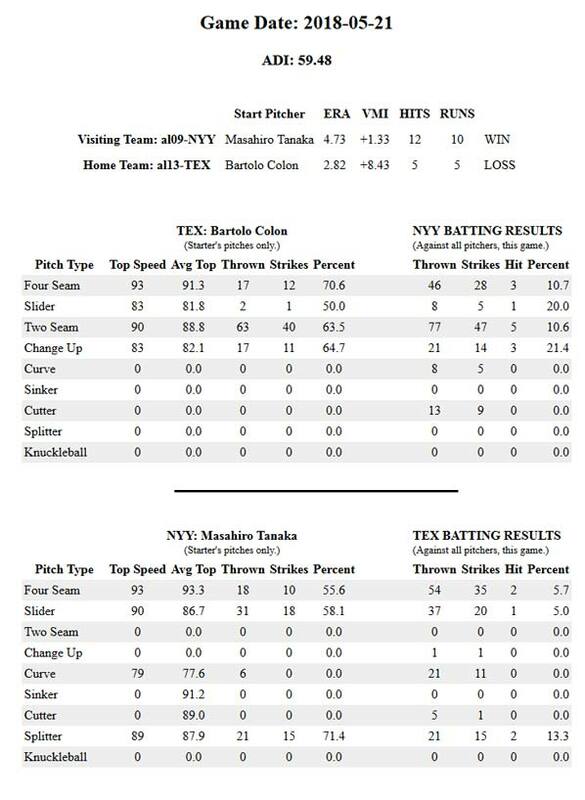 NYY vs TEX was one of the few games where a high plus VMI occurred yesterday. So, the high plus means the hitters should be 1 inch above the four-seamer and the Texas line-up should have given Colon more run support, right? On the other hand, the NYY were above the 4-seamer by only about 1/8 of an inch and vulnerable to focus issues. So, how do we analyze this game? We know what happened, how could we have predicted it? Colon's biggest mistake was majoring on the two-seamer. He is a reverse pitcher, but that is not very good when the VMI is as low as NY was yesterday. 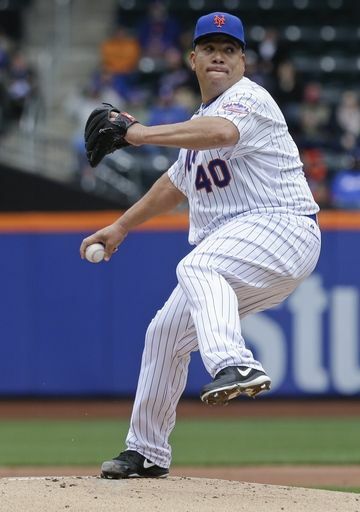 The Sinker would have been a better pitch, but Colon was due to pitch and he does not use the Sinker. True to form and VMI substance, the Yankees had little trouble with that 2-seamer or any other pitch and their focus was keen enough. Five hits and a 21.4% hit to strike ratio on the Two-Seamer (without as much movement as MLB average movement so far in 2018) makes sense why a different pitch should have been majored on.